My road trip from North Carolina to Washington began when I got into my little ’99 Mercury Tracer and left Fayetteville, NC on a warm August day. 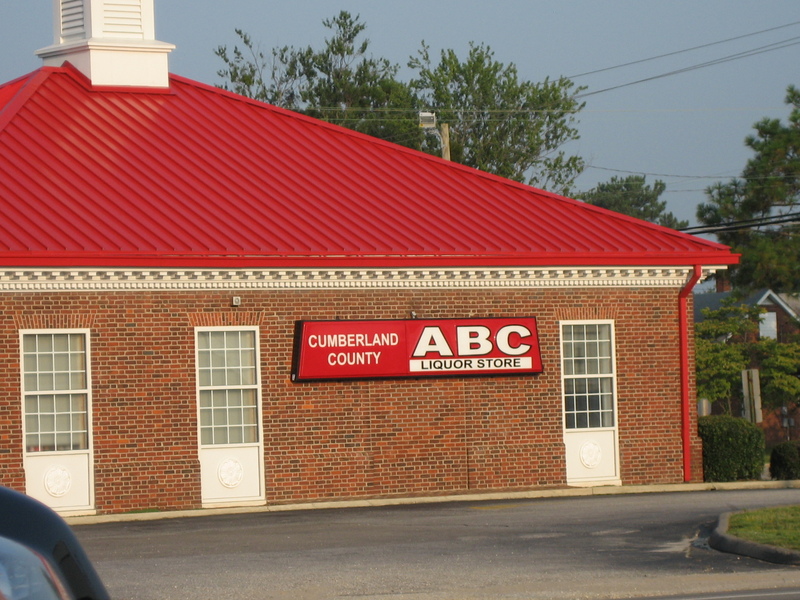 On my way out of town, I took this picture to show people in the northwest that an “ABC store” is a liquor store. I don’t think they have anything they call “ABC stores” in Washington, but some have been influenced by visits to Hawaii to associate the name with the convenience store chain there. I drove northwest until I hit highway 40 around Winston-Salem (home of the R.J. Reynolds Tobacco Company – hence its name sounding like two brands of cigarette). Just north of town, I stopped at a Bojangles‘ fast food restaurant before I got too far north and wouldn’t see them anymore. Bojangles’ is famous for its chicken and biscuits, though I tend to make sure to get sweet tea and a sweet potato pie whenever I go there. I didn’t go to Bojangles’ very much when I was growing up; I just took it for granted. But when I went to college in Richmond, VA, just far enough north to be out of Bojangles’ orbit, I began to grow nostalgic for it. Now, whenever I go back to North Carolina, I make sure to stop there at least once so I can get a kick out of looking at the menu and seeing side dishes called “fixin’s.” It was a good thing that I stopped at this one, because it was the last one I saw on the trip. I then continued north on highway 52 toward Mount Airy, which is the hometown of Andy Griffith and the inspiration for Mayberry. I’ve been through there many times before on my way to and from Michigan to visit relatives, but this trip I cut over to interstate 77 before I got there. 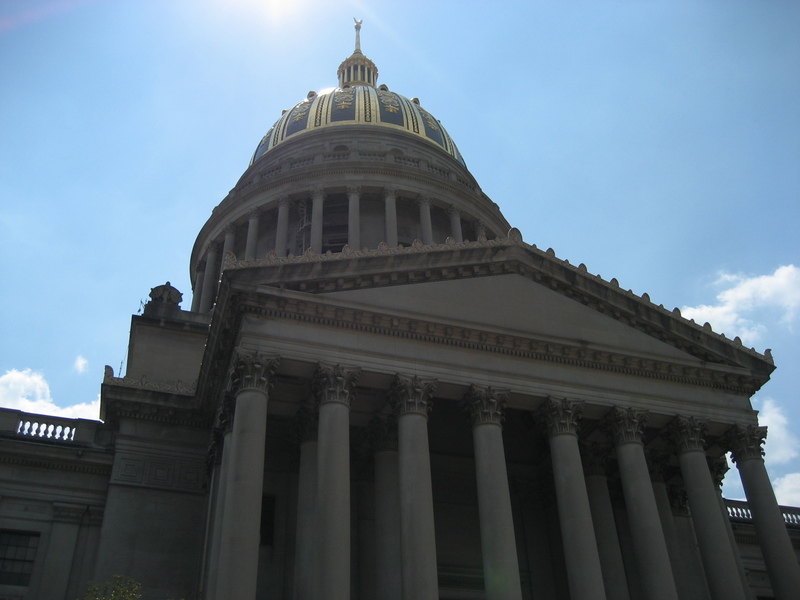 I took I-77 north to Charleston, WV and got off the highway to look at the capitol. I’ve gone back and forth between North Carolina and Michigan perhaps dozens of times, and each time I looked out the window at the West Virginia capitol, which is only a few blocks from the highway. On this trip, though, I stopped and took a look around. And boy, am I glad I did! 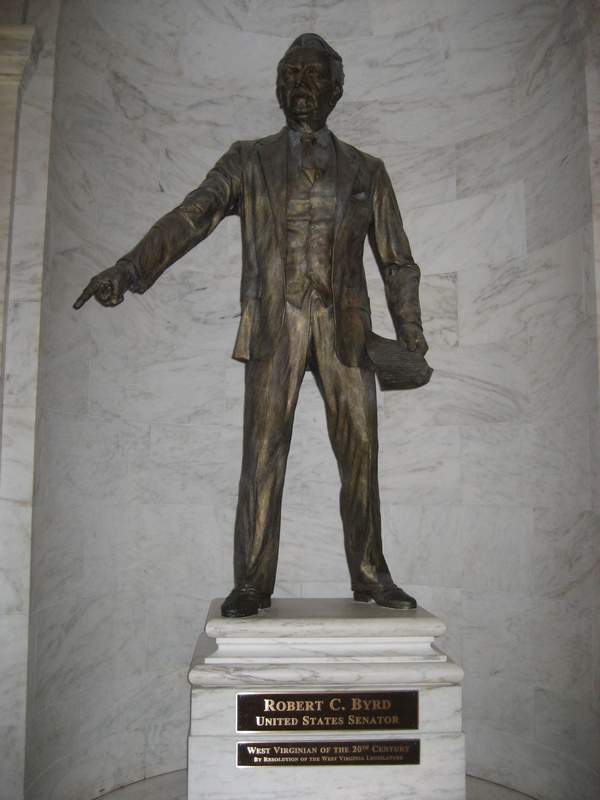 For one thing, they have this great statue of Senator Robert Byrd in the rotunda. If you just glance at it, you could almost convince yourself that he has a Ziploc baggie in one hand, and is pointing at a pile of feces that his dog left on the floor. Or maybe that’s just me. 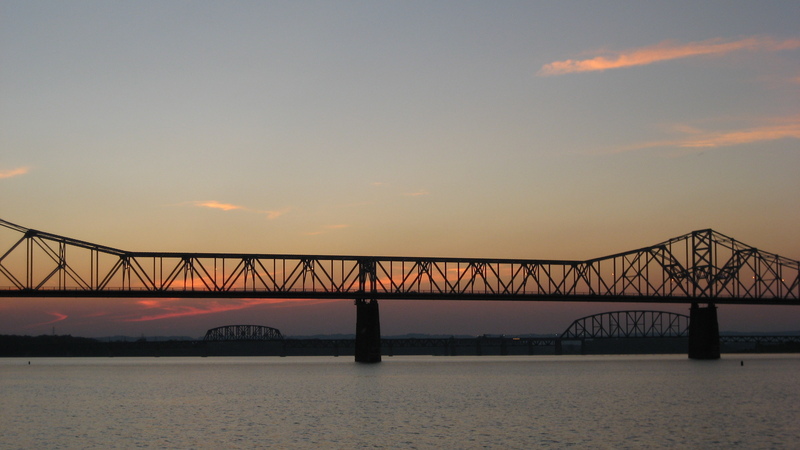 I drove west from Charleston on interstate 64, and this stretch of road (as well as during my time in Louisville) I encountered some of the worst driving of the trip. I experienced more people cutting me off, and changing lanes without signaling, during this stretch of the trip than any other time. Including when I was driving through Chicago. Unbelievable. The next day, I went on a tour of the Louisville Slugger museum, stopped by Churchill Downs, and visited Southern Baptist Theological Seminary. Just in terms of appearance, it is worlds away from Regent, where I went. For starters, they have more than one building. It looks more like a small, southern liberal arts college than anything else, though it did remind me a little of Princeton seminary, which I visited several years ago. The only building I went inside was their student union building, where I browsed around the bookstore for a while and got a couple of books. After Ryan got off work that afternoon, the three of us went to the Jim Beam distillery, just south of Louisville. It is one of the many distilleries that are part of the Kentucky Bourbon Trail, and the nearest one to Louisville. It wasn’t bad, though they apparently don’t give actual tours of the distillery. They do let you inside the old Jim Beam home, though, and they do give samples. If I’d had a little more time, I would like to have gotten to the Maker’s Mark distillery in Loretto, KY. There, you can dip your own bottle in the red wax they seal it with. After that, we went to a place called Kaelin‘s for dinner. 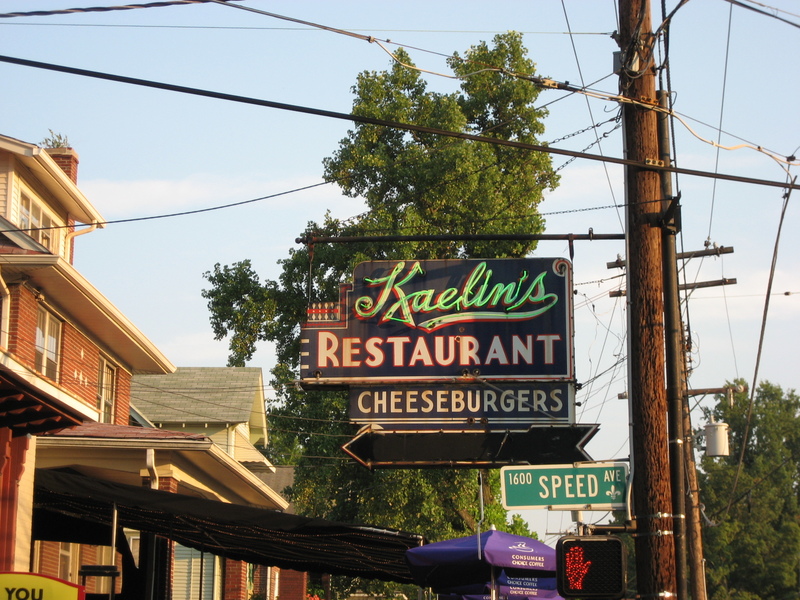 There are many places that claim to have invented the hamburger, but Kaelin’s is the only one (that I know of) to claim to have invented the cheeseburger. I did not eat one. Instead, I had something else for which Louisville is famous (but which I had never heard of before this trip): a hot brown. If you have never had one, and you’re not a vegetarian, my advice to you is: do. I believe the ABC is Alchol Beverage Control. I don’t know that I have been in another state where it is the state government that is selling you booze. Where is the love for Chick-fil-a? That is where I make sure to go when I am down south. You’re right; Chick-fil-A is fantastic; I should visit there whenever I go back down South, too. I guess I don’t associate chicken sandwiches with the South as much as I do chicken, biscuits and sweet tea. Another place that I like to visit whenever I’m in that part of the country: Waffle House. People joke about how you see two Starbucks down the street from one another here in the Northwest. Well, the only place I’ve ever been where I could sit inside one Waffle House and see another one down the street is your hometown and mine, Fayetteville, NC. Chick Fil A “changed” their chicken in recent months, at least from our experience here in H-ville. We’ve switched loyalties to Zaxby’s, which is AWESOME! I should go to Chick Fil A more often, since I’ve always admired their refusal to be open on Sunday. (I trust the descendents are continuing to do that and haven’t gone as worldly as the local Piggly Wiggly, who has gone whole hog (heh, heh), but that’s another story). I never liked the old chicken particularly, so I ought to try the new. I do like their lattice work fries. Aren’t they the inventor of the “eat more Chicken” cows?